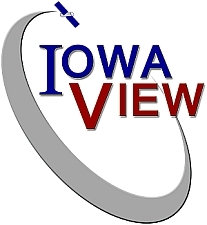 IowaView hosts a Successful Earth Observation Day! 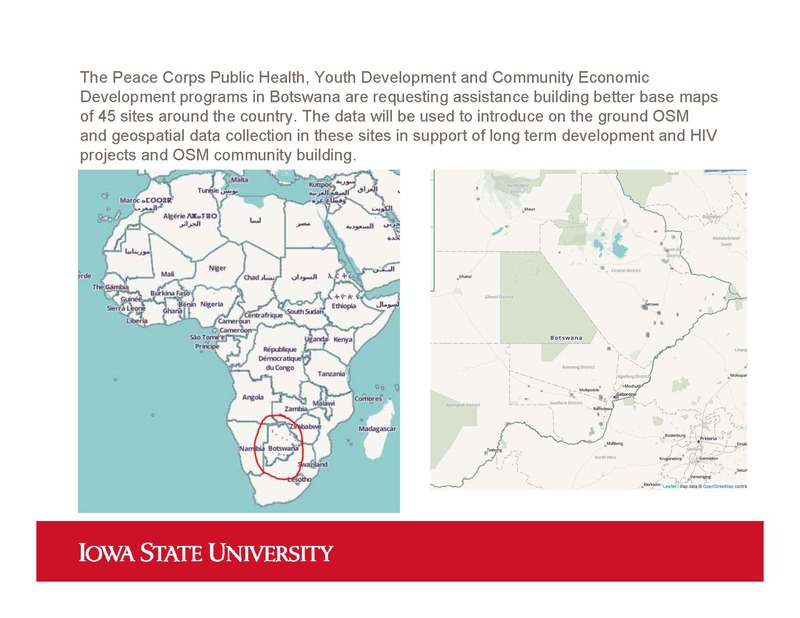 We had 15 mappers, who helped build a better basemap in for areas in Botswana. 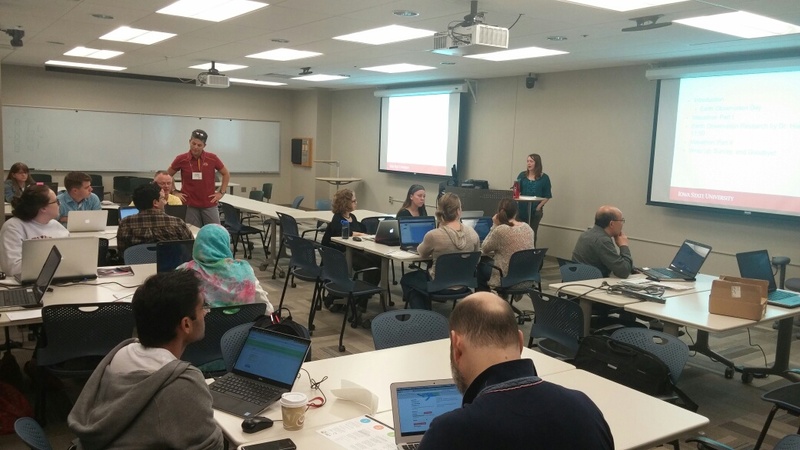 Volunteers mapped dozens of roads and over 500 buildings during our mini-mapathon (45 mins)! Dr. Brian Hornbuckle shared with us about his research observing the earth with microwave satellites and ground senors. 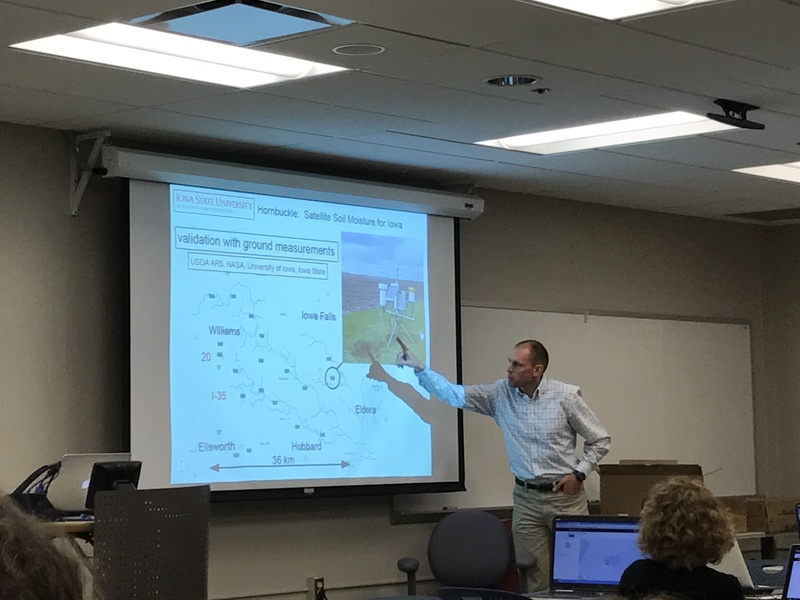 If your are interested in learning more about the SMAP (Soil Moisture Active Passive) satellite, NASA has a free webinar series (5 hour-long sessions) available through their Applied Remote Sensing Training (ARSET program). 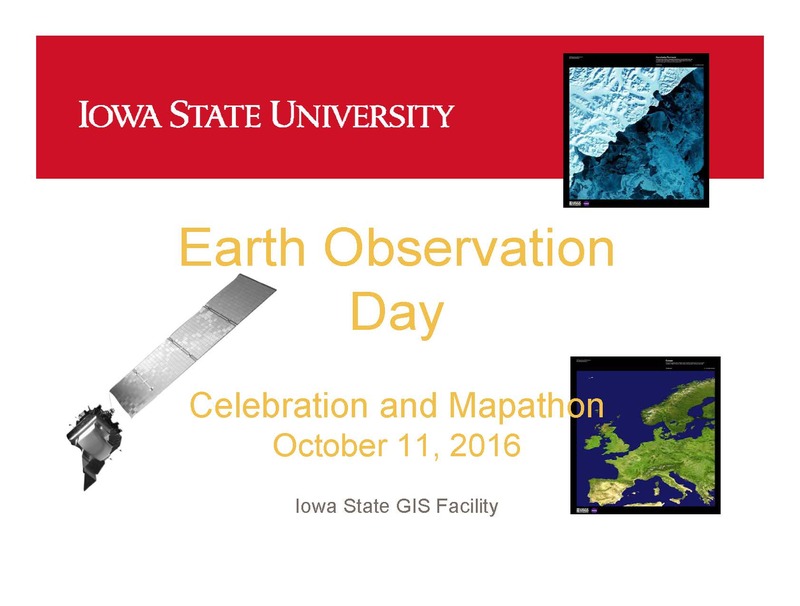 Earth Observation Day is here!